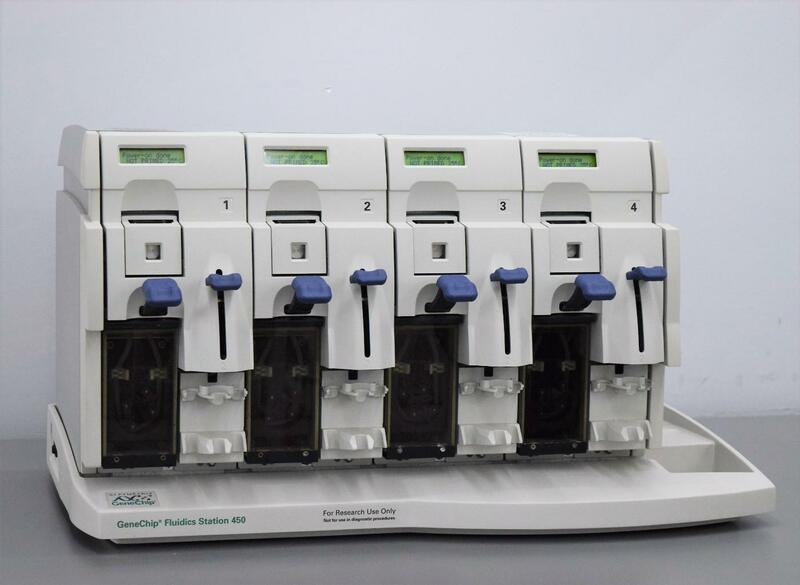 Affymetrix Genechip Fluidics Station 400/450 Genetics Research Liquid Handling . New Life Scientific, Inc. The GeneChip station is used in the wash and stain operation of GeneChip arrays. This station is fully functional and in excellent cosmetic condition with normal wear and use. Sample Needles are missing and no reagent bottles or consumables are included with this unit.